Parent communication. Did you just let out a sigh? Doesn't it feel like it's getting harder? The emails, phone calls, meetings, notes, newsletters, reminder notes, conferences. Yikes! No wonder parent communication can stress us out! This year I am determined to make parent communication a little less painful for both myself and the parent. Every week I would be up late rushing to get my newsletter all typed up on a Thursday night so I could photocopy it and send it home on Friday. I changed templates and formats more times than I could count to make it easier. And still...it was painful. Really painful. when my son comes home with a newsletter from school I hardly ever read it. I may skim it (but that's on a good day) and more often than not- it rotates from the kitchen to dining room table and then ends up in the recycle bin. There. I said it. Parents really don't read them. I mean...some of them do but most...don't. Yup. I'm going to Instagram. I have an account that I created just for my classroom. I will ask parents to follow our account (which will be set to private). Parents will also sign a permission slip if they wish to participate. At the end of the school year, I will delete the account and start a new account for the following year. If anyone does not want to participate or have their child participate they don't have to. They still have....the newsletter. Parents will get pictures daily, every 2 days or weekly of projects we are working on, candid photos, bulletin boards, "a day in the life of a first grader" and so on. Since Instagram is so visual it's very nature is fast and easy both for the person adding photos and the person viewing the photos. I think parents are actually going to get more information from the daily photos than my newsletter that I hurried to get done with one eye open at 11 PM on Thursday nights. You can take photos of notices, reminders, student work, etc and in 45 seconds get it out to a set of 20 parents and it's done. Use Instagram as a permanent bulletin board display. Take a photo of each student on the first day. Add it to the bulletin board with the hashtag #first day. Send it along to parents on Instagram and now they all have a photo of their little darling on the first day of school. Have a "Student of the Week" and send via Instagram a fun photo, photo of a sample of work, a photo of a student holding their favorite book, etc. 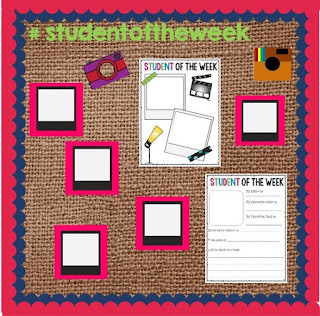 Let the students take pictures for Instagram to share their favorite classroom memories, activities, and projects. You can add them to your Instagram bulletin board. Students could also draw their pictures as if it were a photo. Take a close up picture of something in the classroom and send it to parents via Instagram and have them guess what it is. This could even be a fun homework assignment. Kids love to "stump" their parents and assign them "homework." Have students use Instagram as a way to write and illustrate their thoughts. They can take pictures, or use a picture you assign as a writing prompt. I think Instagram is a great way to enhance your communication with parents. I think it really helps parents to feel included and involved in their child's education when they can actually see it happening. I also think when students are invested and involved with sharing with their parents what they do in school it helps foster a love for learning. Are you up for giving it try? 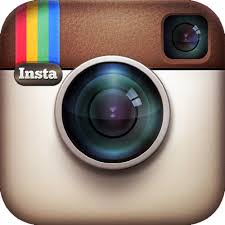 You can check out my Using Instagram in the Classroom product here. It has all kind of activities and suggestions for using this social media tool in the classroom. A letter to parents is included as well, that explains how Instagram can be used as an additional way to communicate between school and home. Make sure to check out the other bloggers who have linked up to share their strategies and tips for communicating with parents. What a creative idea. 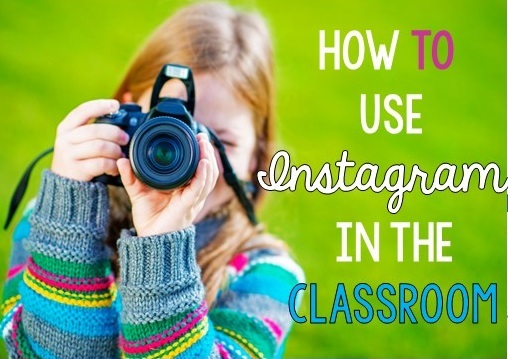 I never would have thought of using Instagram in the classroom. I can't wait to read more from you this school year on how it works. I may even try it myself. Thank you for sharing! What Stuck with You Today?